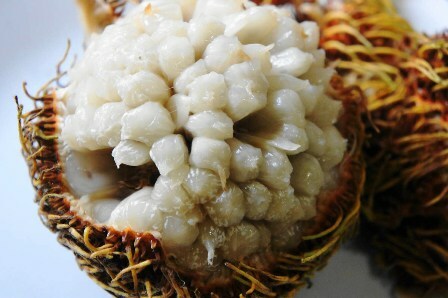 Pedlai is a fruit from South East Asia. It is found in North Borneo, the Philippines, Sulawesi and the Moluccas upto an altitude of 1000 m. It is basically a tree of rainforests. Pedlai fruits are hairy and look somewhat like giant rambutans. These are also offered for sale at some places in Sarawak. The pedlai fruits are tasty but still these do not match marang (Artocarus odoratissimus) in taste and flavour. Trees upto 30-40 m tall, stiples broadly lanceolate, 6-12 cm long. 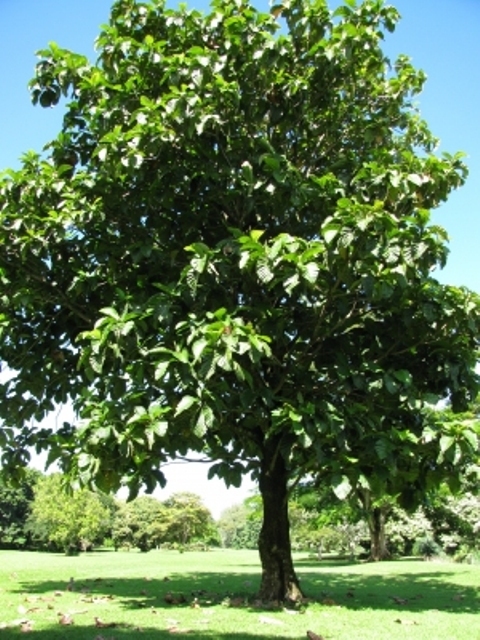 Leaves elliptic to ovate, 20-70 cm x 10-50 cm, margin entire to slightly crenate, juvenile leaves more or less pinnatifid; main veins prominent beneath. Inflorescences axillary, solitarey; male head oblonged, 3.5-10 cm x 1.5-2 cm; female headsubglobose, 4.5×4 cm, simple style 1 mm extended. Fruit a syncarp, cylindrical to ellipsoid, 8.5 cm x 5 cm, yellow brown, covered with long flexible solid processes, 2-3.5 cm long; well ca. 2 mm thick; peduncle 10-18 cm long. Seeds numperous, ellipsoid, 10 mm x 6 mm. Pedlai fruits are eaten fresh and they taste quite good. These are quite popular with local people. The seeds are also edible. These are usually boiled or roasted and consumed like peanuts. 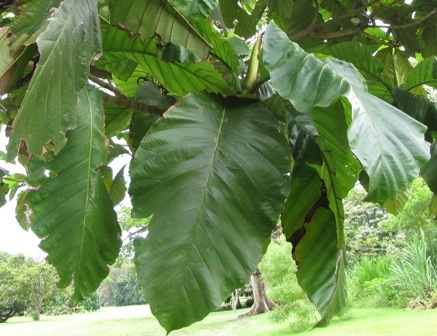 The bark of pedlai tree is also used to make barkcloth. Perdlai fruits are mostly collected from wild. 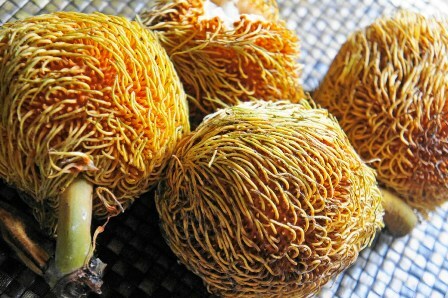 This fruit, however, planted in home gardens in the Philippines. New trees are raised from seed.